“She understood she was being helped, [so] she started to trust us." In February 2017, a woman was walking to work in Phuket, Thailand, when she heard a tortured meow. She stopped and looked around, searching for the source of the meow. 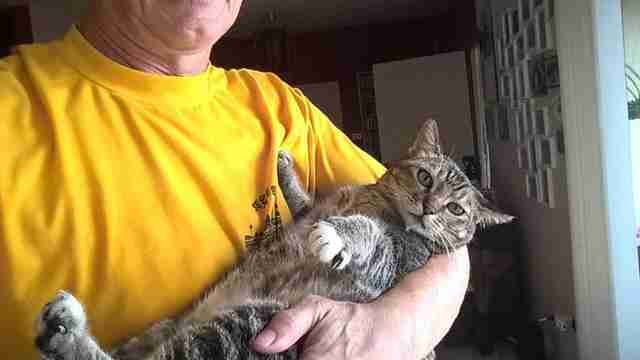 Eventually, she found it — a cat was lying in the shallow water of a flooded rice field. The cat was in horrible shape. She had some kind of skin condition, and her body was covered in painful sores. She was also extremely lethargic. 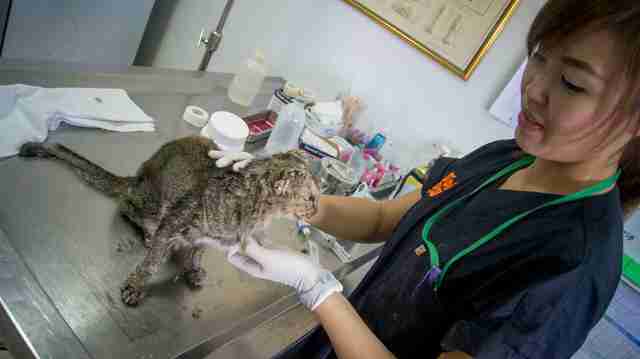 Luckily for the cat, the woman worked for Soi Dog Foundation, a group that rescues dogs and cats in Phuket. 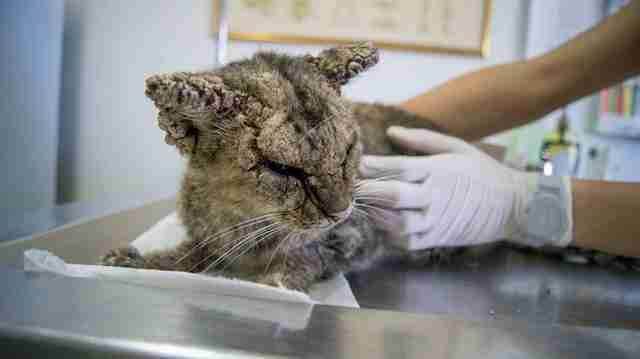 So the woman scooped up the cat and took her to the organization’s clinic, where the vet team started helping her. 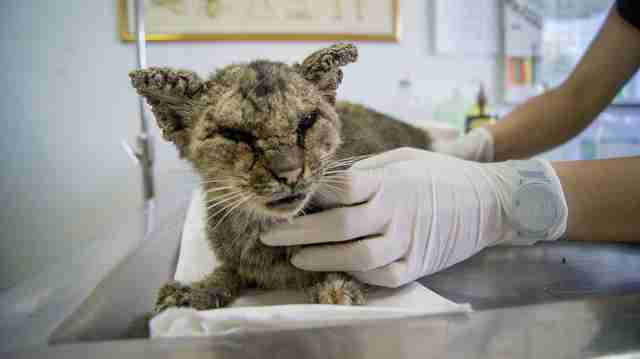 But the vet team didn’t give up on the cat, whom they named Rose. 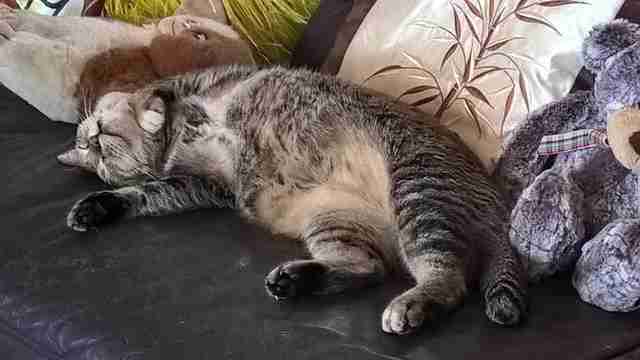 Rose started perking up, and she blossomed into a sweet, loving cat. 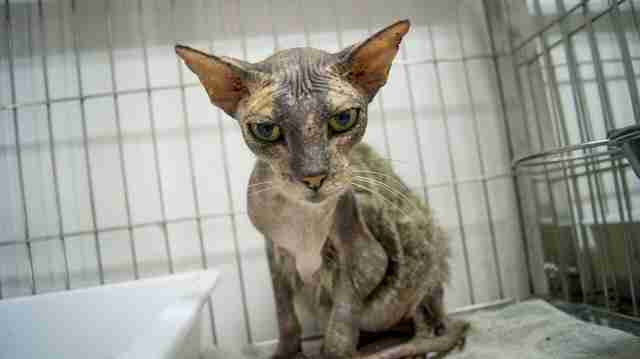 Two months later, Rose had made a full recovery — and she looked like a completely different cat. 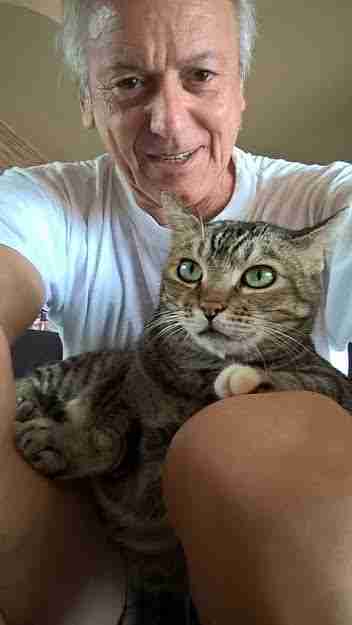 And in May 2017, Rose found a forever home with an ex-pat living in Thailand. Rose’s new owner, René Carnieletto, renamed her Mukki. Henry, along with the rest of the team at Soi Dog Foundation, is delighted that Mukki found a home with someone who adores her. The shelter at Soi Dog Foundation is currently at capacity with 100 cats in their care, so they’re hoping to find forever homes for their residents as soon as possible. While Mukki found a home in Thailand, the Soi Dog Foundation can move cats to other parts of the world, including the U.S. and Canada. 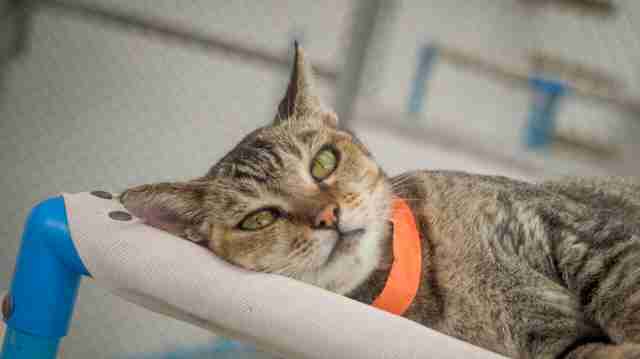 If you’re interested in adopting a cat from Soi Dog Foundation, email nayomi@soidog.org.